Update: Understandably, this sold out within minutes. Hope you got one! 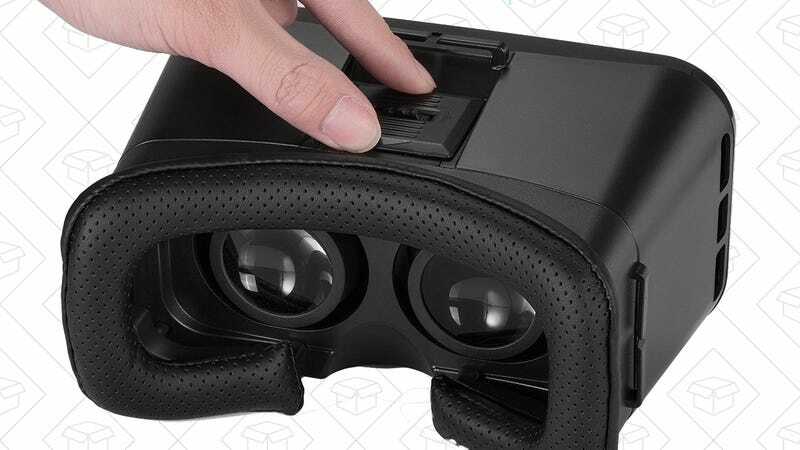 If you want to experience Google Cardboard VR without strapping a shipping box to your face, this plastic headset is a slightly upscale alternative for most Android handsets and iPhones, and it can be yours for just $3 (with code POY7IYSW), which I’m fairly certain is a price mistake. The major caveat here is that it lacks a button to interact with the phone while it’s inside the headset, but for watching 360 videos or looking around 3D scenes, it should be just fine. You could also pair it with an affordable Bluetooth remote for the same functionality.